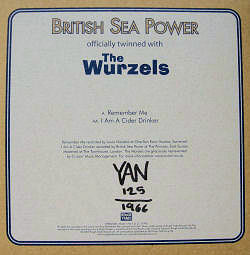 This is a limited-edition, double a-side, 7" vinyl single created in alliance with Brighton-based post-punk indie band British Sea Power released on the legendary indie Rough Trade label. 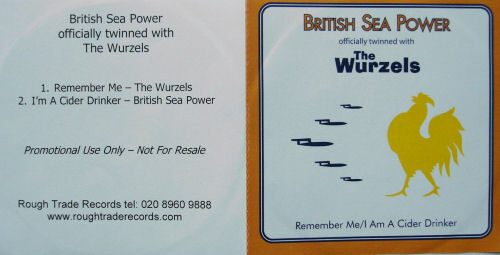 The Wurzels interpretation of the British Sea Power composition Remember Me. 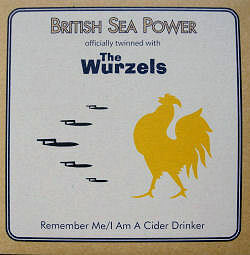 British Sea Power doing the 1976 Wurzels top five hit I Am A Cider Drinker. Remember Me was recorded by Louie Nicastro at Charlton Farm Studios, Somerset. 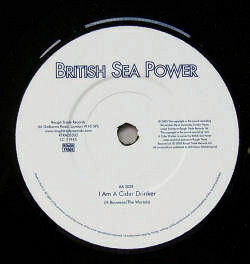 I Am A Cider Drinker recorded by British Sea Power at The Princess, East Sussex. Mastered at The Townhouse, London. All compositions published by EMI Music Publishing Ltd. 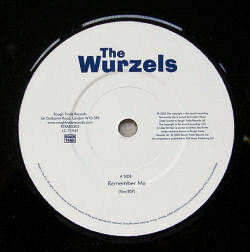 The single was limited to a numbered edition of 1,966 copies - marking the year in which Adge Cutler first set The Wurzels sugar-cart rolling - and was only available from the bands' online shops and merchandise stalls. 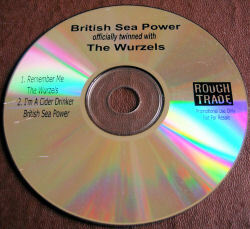 As part of the promotion, The Wurzels appeared as special guests at the British Sea Power show at London Forum on Thursday 24 November 2006. Rough Trade also released a demo CD of the single which was distributed to press and radio for promotional and review purposes. This was packaged in a single sheet sleeve, as shown below. "The art-rock Stakhanovites' take on the scrumpy anthem channels echoes of ages gone by, as heard in a weatherworn old cider barrel, while the Wurzels sound like The Archers' Grundy family in a scene supplied by Betjemen." "One of BSP's pleasing qualities is their lack of nudge-wink irony, and so I Am A Cider Drinker is delivered in Christmas carol deadpan. 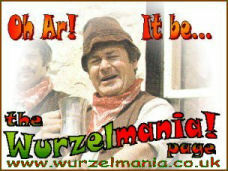 On the flip, the old buggers get lashed up and turn Remember Me into a steaming slice of randy-as-a-mare music hall." "I Am A Cider Drinker is nothing short of breathtaking, a slow burning ethereal epic complete with choral splendour and glistening spectoral atmospherics."